Trenton Merricks is Professor of Philosophy at the University of Virginia. He is the author of Objects and Persons, Truth and Ontology, and many articles in metaphysics, epistemology, philosophy of mind, philosophy of language, and philosophy of religion. possible worlds. So, given Lewis’s account of possible worlds, I deny that there are sets of possible worlds. Propositions are sets of possible worlds only if there are sets of possible worlds. Thus my first reason for saying that, given Lewis’s account of possible worlds, propositions are not sets of possible worlds. Given Lewis’s account of possible worlds, each possible world exists in—that is, is located in or is a part of—only one possible world, itself. So, given Lewis’s account of possible worlds, there is no possible world in which all the members of a set of possible worlds exist. So, given Lewis’s account of possible worlds, there is no possible world in which a set of possible worlds exists. So, given Lewis’s account of possible worlds, sets of possible worlds do not possibly exist. (The exceptions that prove the rule: sets of possible worlds with exactly one member.) Again, given Lewis’s account of possible worlds, sets of possible worlds are impossible entities. Lewis believes that trans-world individuals exist. But he thinks that they are impossible. The book Propositions has two main goals. The first is to show that there are propositions. The second is to defend an account of their nature. 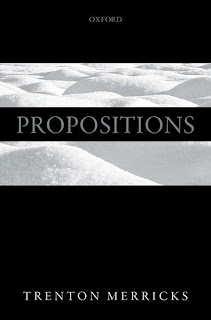 Questions about the existence and nature of propositions have been central to analytic philosophy throughout its history. And considerations from the philosophy of language have dominated the search for answers to those questions. You can see why. For propositions are supposed to be the fundamental bearers of truth and falsity. And propositions are supposed to be expressed by sentences that have truth-values. All of this fits squarely in the domain of the philosophy of language. But to make claims about the existence and nature of propositions—entities whose existence and nature are matters of controversy—is not to engage in only the philosophy of language. It is also to engage in metaphysics. This book differs from most other discussions of propositions by its sustained focus on the metaphysical issues surrounding claims made about propositions. Here is just one example. Many linguists and philosophers of language say that propositions are “sets of possible worlds,” and often say this without a serious exploration of the metaphysics of possible worlds. But this book argues that the best account of the metaphysics of possible worlds rules out the thesis that propositions are sets of possible worlds. This book also argues that that thesis cannot be combined, without incurring new and serious problems, with any standard account of the metaphysics of possible worlds. Page 99 contains a snippet of this book’s argument for the conclusion that we should not combine the claim that propositions are sets of possible worlds with David Lewis’s famous (notorious) view that possible worlds are universes. Jason Stanley is Professor of Philosophy at Yale University. Before going to Yale in 2013, he was Professor II (Distinguished Professor) in the Department of Philosophy at Rutgers University. He has also been a Professor at the University of Michigan and Cornell University. Stanley has published four books, two in epistemology, one in philosophy of language and semantics, and the newly released How Propaganda Works, a work of social and political philosophy. In a democracy, we expect our politicians to pursue policies that further the common good; a politician who straightforwardly argued that all the goods of society should go just to her largest campaign donors would not win broad support. Of course, politicians in a democracy often do push policies that favor a narrow class of voters, for example their campaign donors, over the interests of others. However when politicians are advancing the interests of their campaign donors at the expense of others, they must at least openly pretend otherwise. For example, they must argue that serving the interests of their major campaign donors is what serves the interests of everyone. This is because we expect politicians and the media in a democracy to represent everyone. 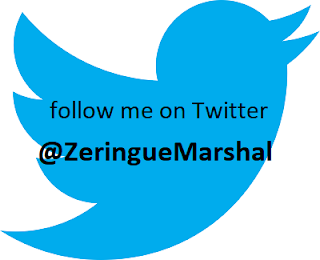 Page 99 of my book occurs in the middle of a discussion of different theories philosophers have given of what it is to take everyone’s interests into consideration; the three philosophers I most rely on in this discussion are W.E.B. Du Bois, Susan Stebbing, and John Rawls. Understanding the kind of attitude that we expect politicians and media to have, taking everyone into consideration, is crucial to an understanding of political communication. Political debate is a contest between candidates each of whom seeks to convince opinion makers that she really has everyone’s interests at heart. The difficulty is that politicians must often try to win this contest, while simultaneously advancing an agenda that benefits a favored group at the expense of others, as is typically the case in politics (though perhaps not, as Carl Schmitt might suggest, invariably). An example of how to compete under these constraints can be found in Frank Luntz’s “Wexner Analysis: Israeli Communication Priorities 2003”. This document is an effort to find a way to communicate the message to American “opinion elites” that Israel is genuinely interested in peace and Palestinian well-being, while simultaneously undermining support for the Palestinian leadership. In polling, Luntz discovered that the sound bite “[w]e are hoping to find a Palestinian leadership that really does reflect the best interest for the Palestinian people” was an effective way to communicate the message that Israel is a reasonable negotiating partner, but the Palestinian leadership is not. The sentence suggests that the Israeli politicians are the reasonable ones, the ones who actually have the Palestinian interests most at heart, while simultaneously undercutting the Palestinian leadership position. Thomas Aiello is associate professor of history at Valdosta State University, specializing in the confluence of race and cultural history. He is the author of The Kings of Casino Park: Black Baseball in the Lost Season of 1932. Page 99 of Jim Crow’s Last Stand is a reproduction of Justice Lewis Powell’s concurring opinion in the Supreme Court’s 1972 Johnson v. Louisiana decision. I didn’t even write it. That said, however, it is a perfect reflection of what the book actually discusses. Petitioners contend that less-than-unanimous jury verdict provisions undercut that right [of a fair and impartial jury trial] by implicitly permitting in the jury room that which is prohibited in the jury venire selection process—the exclusion of minority group viewpoints. They argue that unless unanimity is required even of a properly drawn jury, the result—whether conviction or acquittal—may be the unjust product of racism, bigotry, or an emotionally inflamed trial. It is my great hope that the other pages aren’t quite as dry and clinical, but as far as argumentative thrust is concerned, this is actually on point. Beginning in 1880, Louisiana allowed criminal defendants to be convicted by nine of twelve jurors. Today it allows them to be convicted by ten. It was a law designed to increase convictions to feed the state’s burgeoning convict lease system and remained in the first half of the segregationist twentieth century even after convict lease had run its course. As rights advocates of the 1950s and 1960s successfully challenged the ingrained racism of southern laws first conceived in the crucible of turn of the century reactionary politics, it left nonunanimous criminal jury verdicts alone. It is, among southern states, unique to Louisiana. Many never realized the law existed. Those who did were unaware of the law’s genesis, its original purpose, or its modern consequences. And so it remained. It still remains. It is the last active law of racist Redeemer politics in Louisiana. 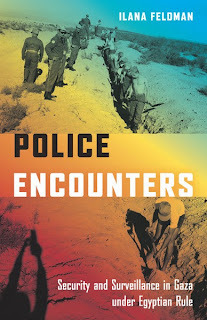 This book makes the case, like the petitioners crying out from page 99, that such is an almost inconceivable injustice. The Law & Order thinking that has been ingrained into everyone, that creating a reasonable doubt in the mind of one juror can save a defendant, does not hold in Louisiana (or, for that matter, in Oregon). In Louisiana, it actually benefits a potential assailant to commit a hate crime rather than one for, say, purely financial reasons, because the federal standard (under which a hate crime would fall) is jury unanimity. Thus the petitioners on page 99 argued that they were being denied “a fair and impartial jury trial.” They lost that case. But a full understanding of the law’s genesis was still hidden in 1972. Jim Crow’s Last Stand uncovers it, so maybe the petitioners on future page 99s will win. children could learn about science through stories, told with and about the plenitude of illustrious objects at hand in the Victorian home and garden: a piece of coal, a primrose, a sunbeam, a bee, or a drop of water. Buckley encouraged her young audience to investigate the hidden mysteries of their surrounding world: she used the conceit of a fairyland of science to emphasise the scientific processes at work in the everyday environment. These ‘true’ fairies, she argued, provided just as wonderful (and, for her, just as spiritual) transformations, creatures, powers, or histories, than any fictional counterparts. 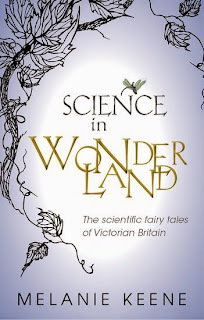 In its emphasis on active engagement in the sciences, in the power of invisible forces, in comparing scientific practitioners to figures from fairy tales, and in looking again at supposedly common objects, Page 99 summarises well the themes of Science in Wonderland: it therefore provides a very appropriate way in to the book, as well as to the Fairy-Land of Science itself. Thomas Parker is an Assistant Professor of French and Francophone Studies at Vassar College. He worked in Champagne, France after high school and remained in the wine trade for many years before going to graduate school. Page 99 of my book is one of my favorites and very representative of the read. It suggests how wine connoisseurship was historically tied to social class in France, and leads to an explanation of how champagne first acquired the snob appeal that it retains in many circles today. Medical authorities in the seventeenth century advised that red wine was filled with heavy particles that would stop up circulation, rise to the brain, and make smart people sluggish. Hearty red wines were suitable only for people with large pores who perspired a lot— peasants, laborers, and low-class people in general— because they were able to sweat out the impurities. More refined people were advised to drink white wine. White wine lacked the heavy matter red wine absorbed from the dirt the grapes grew in. In fact, the best “terroir,” or growing area, was thought to come from the small town of Ay in Champagne. Those wines were light, pure, and healthful, most proper for kings, poets, and the elite population who frequented seventeenth-century Versailles. Champagne d’Ay became the rage at the court, where the message was not that you were what you drank, but rather that you should drink what you were. Curiously, the Hippocratic and Galenic humors theory on which these assessments were based had been largely outmoded by the science of the time. The high-stakes social world of Paris and Versailles, however, retained theories on humors in relation to wine because they helped reinforce existing social hierarchies. They also provided the means by which one could attempt to fake it, tippling to the top by choosing the right drink. Voltaire turned the tables and democratized champagne 75 years later in a poem on luxury, claiming that the wines of Ay with their frothy foam and effervescence were the very image of French people themselves. In doing so, he tied the idea of national identity and “Frenchness” to wine and the concept of terroir. This is just one episode in the fascinating story of the idea of terroir that I explore throughout the book. Incidentally, champagne d’Ay is still around today and stunningly delicious, no matter how big your pores are. 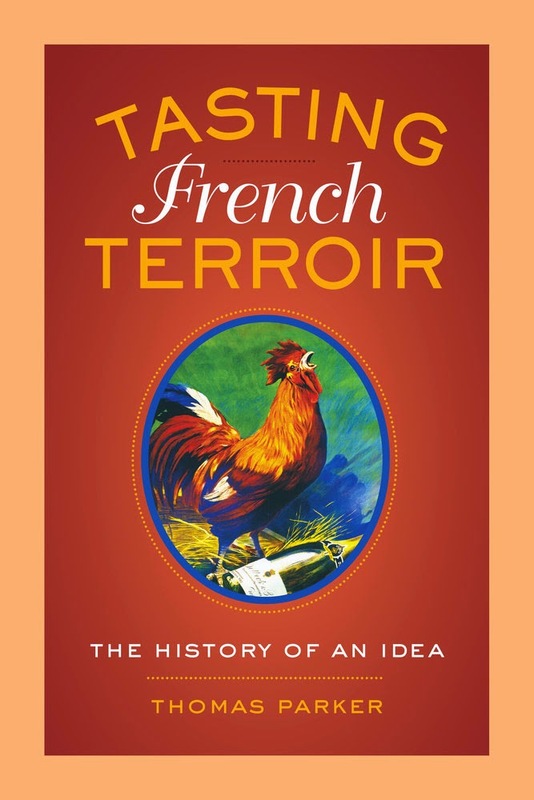 Learn more about Tasting French Terroir at the University of California Press website. 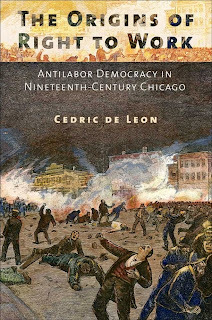 Cedric de Leon is Associate Professor of Sociology at Providence College. He is the author of Party and Society: Reconstructing a Sociology of Democratic Party Politics and co-editor of Building Blocs: How Parties Organize Society. Before becoming a professor de Leon was by turns an organizer, a local union president, and a rank-and-file activist in the U.S. labor movement. The Origins of Right to Work is about the bait-and-switch that characterizes the place of workers in American democracy: enticed by the American Dream, they are at the same time prohibited from fulfilling its promise through the collective power of their unions. Right to work laws allow workers to reap the benefits of union contracts without having to pay the dues or fees that support the daily operation of unions. These and other limits to collective bargaining have led many scholars to speculate on why the United States is so antilabor compared to other liberal capitalist democracies. Most of these folks emphasize the role of workers or judges in inaugurating the distinctly antilabor ethos of American democracy. In The Origins of Right to Work, I argue that we need to look more closely at the changing relationship between nineteenth-century political parties and workers. Page 99 casts doubt on the notion that judges were responsible for right to work laws. Such laws were – and are – statutory laws passed by politicians in state legislatures, not decisions handed down by the courts on the basis of legal precedence. Indeed, as I point out on page 99, even the landmark court decisions (e.g., Commonwealth v. Hunt ; The Danbury Hatters' Case ) were shaped by the context of party politics. As an alternative to the judiciary thesis, I argue that right to work laws emerged because workers, who were once loyal Republicans and Democrats, defected from the major parties into trade unions, socialist parties, and revolutionary organizations. Unable to persuade nineteenth-century workers with the same old political slogans, the two-party system instead tried to control workers through right to work laws and violent force. 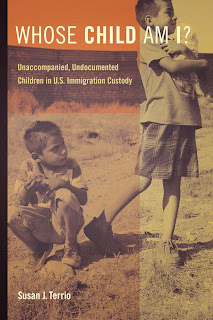 Page 99 gets to the heart of the key issues of U.S. immigration policy and the treatment of undocumented minors after their apprehension by American authorities. Although unlawful entry is a civil, not a penal, offense these youth become ensnared in two separate and convoluted federal systems: mandatory detention in closed facilities and removal proceedings in immigration courts. The government becomes their legal guardian while at the same time prosecuting them for immigration violations. We should ask ourselves if automatic detention is necessary to ensure the protection of a vulnerable population? What due process rights do detained child migrants have under U.S. immigration law? Despite the frenzied media coverage of migrants flooding across the U.S.–Mexico border in 2014, little is known about what happens to them in federal custody or how the U.S. government got into the business of detaining children and youth. This is the story of a legal tug-of-war between the constitutional protection of individual rights regardless of legal status and the government’s interest in border security. This tension affects new migrants as well as those who were brought as children and spent their formative years in this country. Page 99 describes the experience of Orlando, an undocumented Mexican teenager who came to the US at the age of nine. He turned sixteen in an Arizona reform school where he was sent after adjudication for an assault. When he completed his sentence with a clean record a juvenile judge ordered his release. Instead, immigration authorities re-apprehended him and transferred him to a Virginia juvenile prison under government contract that holds undocumented minors deemed to be security risks. This page describes my tour of that Virginia prison where I saw the central surveillance monitors, empty classrooms, and immigrant boys confined to their residential “pods” because the facility was on lockdown. The deputy director explained that this was due to problems with the two prison populations: the “domestic” and the “federal” youth. Orlando’s clinician described him as “one angry kid.” He knew that as a U.S. citizen he would have been released to his family after “doing his time.” Instead, he was sent to a real prison, this time with no set endpoint, far from his family, and facing the real threat of deportation to a country where he had no family. What if it was Adam’s choice, and not Eve’s, that led to humanity’s fall into sin? What if women’s submission to men is the work of the devil, and not the will of God? What if Christian patriarchy is in fact man’s rebellion against God? What if the Apostle Paul didn’t tell wives to submit to their husbands, and women to be silent in church? What if redemption means the liberation of women? And what if Christians have gotten their theology wrong because of mistranslations of the Christian scriptures? And men have perpetuated these mistranslations for centuries on end by doing everything they could to keep the work of Christian theology out of the hands of women? A New Gospel for Women tells the story of Katharine Bushnell, a woman who asked these very questions over 100 years ago. 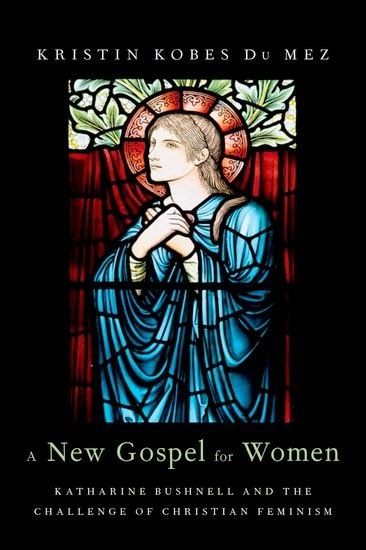 Part history, part biography, and part theology, this book introduces Bushnell to modern audiences and provides an overview of her remarkable feminist theology. 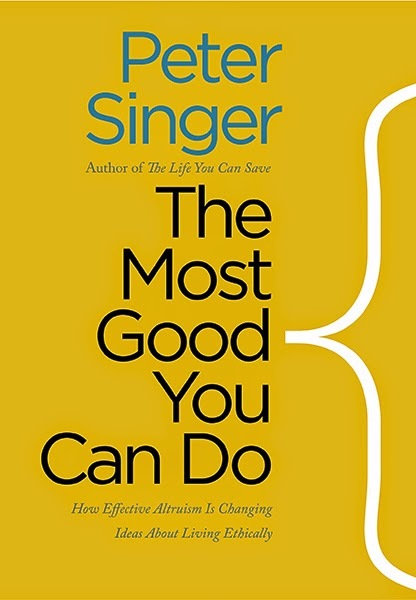 Page 99 occurs just after the book switches from historical narrative to a description of her theology. Bushnell was an internationally-known anti-trafficking activist in the late nineteenth and early twentieth centuries, and it was through this work that she repeatedly observed seemingly respectable, Christian men committing acts of unspeakable cruelty against women. Ultimately, she concluded that “the crime is the fruit of the theology”—that Christian theology itself, as it had been handed down through the centuries, must be to blame. Rather than abandoning Christianity in its entirety, however, she turned to the original languages and set out to expose a long tradition of misogynistic biblical translation. But page 99 is just the tip of the iceberg—the rest of the book describes Bushnell’s dramatic revision of the entire biblical narrative, from Genesis through Revelation. And it asks how it was that Bushnell and her work have been all but lost to history. Its larger story, then, revolves around the relationship between Christianity and feminism, past and present. And, in light of the growing popularity of Bushnell’s writings among evangelical Christians in the global church today, it reflects as well on the future of Christian feminism. In October, Ingram told an NSA academic advisor that he had all the money he needed to operate a Latin America program, “just as we planned it.” He did not identify specific donors, although to a prospective NSA staff member, he indiscreetly described a “new hush-hush agency in the government” that would be able to finance the NSA. In early November, he told a friend at Georgia Tech that he had found an angel. This excerpt from Patriotic Betrayal captures a turning point in the covert relationship between the CIA and the United States National Student Association (NSA), an organized formed in 1947 by campus student government leaders. When Avrea Ingram, the NSA international affairs vice president, made these remarks in 1951, the CIA’s ad hoc funding arrangements with NSA had become untenable, and CIA officials devised new ways to route secret funds. Ingram’s angel was John Simons, an NSA founding father, who as a CIA career agent resurfaced as a director of the Foundation for Youth and Student Affairs. The name, meant to suggest a traditional philanthropy, in fact, served as a conduit for CIA funds. 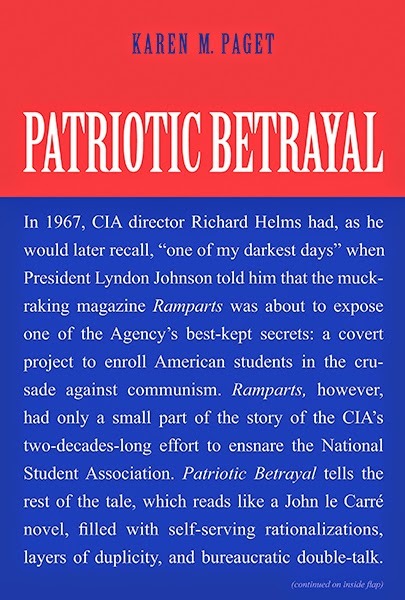 In 1967, when Ramparts magazine exposed the NSA/CIA relationship, many Americans could not understand why the CIA would care about students – after all, campuses conjured images of football, fraternities and other frivolities. It was a uniquely American view: elsewhere, students were important actors; they overthrew governments, ousted dictators, fought colonial power, and, at a minimum, influenced education policy. In the early Cold War, the CIA sought to counter Soviet influence abroad. The Soviet-backed International Union of Students in Prague, for example, claimed to represent the world’s students. In response, the CIA created and secretly funded a rival international organization, as it did in other areas. Over the years, the NSA/CIA relationship grew into multiple covert operations, global in scope, and carried out by “witting” participants, students who had signed a security oath under the 1917 Espionage Act. The oath, if violated, carried a twenty-year prison term. During the 1967 press uproar, this threat kept participants’ lips sealed. Patriotic Betrayal is the first history of these sweeping CIA-student operations, from their origins and growth to the heroic effort of one NSA President to end the CIA’s grip on NSA, the subsequent Ramparts investigation, and the CIA’s frenetic attempts at damage control. Patriotic Betrayal goes far beyond the moral argument over whether the CIA operation was justified, and examines what the young operatives did. It reveals the central role that espionage—spying on foreign students--played over the years, and its unforeseen and dangerous consequences. It is a cautionary tale for those who today advocate similar covert strategies to win the hearts and minds of new enemies. Charlotte D. Jacobs, M.D. is the Ben and A. Jess Shenson Professor of Medicine (Emerita) at Stanford University. 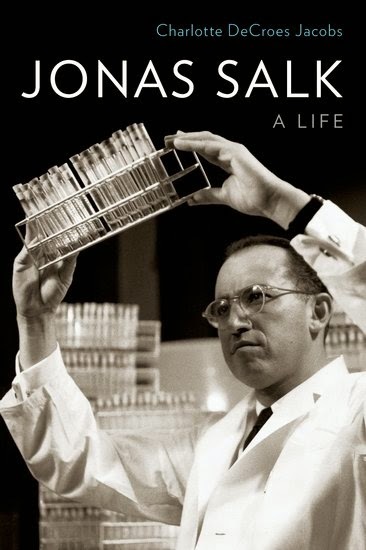 What is happening on page 99 of Jonas Salk: A Life? Salk, the most junior scientist in the group which advised the National Foundation for Infantile Paralysis (NFIP) on polio prevention, had just recommended that they undertake a clinical trial of his polio vaccine. His suggestion brought back painful memories. Such an attempt had been made in 1934, and the results had been disastrous. New York scientist Maurice Brodie had made a polio vaccine using presumably killed poliovirus from the spinal cord of infected monkeys. He vaccinated six volunteers and pronounced it safe. At the same time, Philadelphia researcher John Kolmer made a vaccine using a live poliovirus. Having inoculated forty-two monkeys, his two children, and himself, he publicized its success. A deadly polio outbreak had just struck Los Angeles, and the public was clamoring for protection. A race was on to see whose vaccine would be the first to rid the world of polio. The two scientists conducted trials including over 10,000 children. It appeared to afford little protection, and a number suffered paralysis from the vaccine. The careers of both men plummeted; a few years later, Brodie died from a suspected suicide. Polio vaccine work was constrained as investigators in the field became leery. Not Jonas Salk. In 1948 he told the NFIP research director, Harry Weaver, that he planned to have a vaccine in five years. “There was nobody like him in those days,” Weaver said. “His approach was entirely different from that which had dominated the field.... He thought big. … He wanted to leap, not crawl. His willingness to shoot the works was made to order for us.” For this Salk would later be rebuffed by the scientific community. Howard Gillette, Jr. is Professor Emeritus of History at Rutgers, the State University of New Jersey. He is the author of Between Justice and Beauty: Race, Planning, and the Failure of Urban Policy in Washington, D.C.; Camden After the Fall: Decline and Renewal in a Post-Industrial City; and Civitas by Design: Building Better Communities, from the Garden City to the New Urbanism. Jack Cirie was a real tough guy at Yale: a “local” who excelled in football as well as in the boxing ring. Not surprisingly he joined the marines at the time of his graduation in 1964, making the corps his first career, including a second deployment to Vietnam. What, then, was he doing in the 1980s at the ‘60s hotbed of experimentation, the Esalen Institute? Yet there he is, pictured on page 99, wiry, determined, and wearing an Esalen designation on his shirt as he sets out for a race. His training at Esalen is with George Leonard, a former Look magazine reporter, who coined the term “human potential movement” before throwing himself into it. Dogged by his involvement in the war, Cirie tries in the years after retiring from the military to reconcile his war experience with his inner needs. 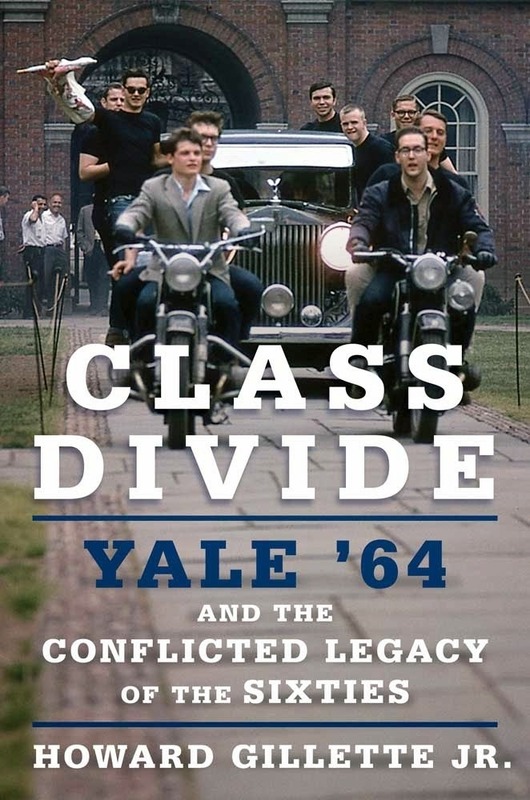 Cirie’s effort to reconcile war with peace, external rewards and inner satisfaction, mark him as part of an “in-between” generation: carrying the socialization of the 1950s into the turbulent 1960s. Among his classmates—famous and not—there was a shared sense of obligation to national service. And yet, unlike the silent generation it might have been part of, these men could not count on becoming a part of a unified leadership elite. Instead, as members of this class absorbed the experiences associated with the sixties, they divided: Stephen Bingham, wanted for murder by the FBI in conjunction with a fatal shootout at San Quentin prison, William Bradford Reynolds rolling back busing and affirmative action in his position as head of the civil rights division of the Justice Department under Ronald Reagan. Fellow classmate Joe Lieberman sought the center, and it didn’t hold. These are the stories that begin to identify how a cultural turn in the 1960s had such a lasting and diffusive effect. In Intimate Rivals, I explore the growing contention between Japan and its neighbor, the increasingly powerful China. I look within Japan to see how China’s transformation is affecting Japanese citizens and their interests, and page 99 presents the conclusion to the first of four chapters that look at the issues that resist compromise between Tokyo and Beijing. This page falls in the final discussion of what is arguably the most conspicuously contentious issue in the Sino-Japanese relations – war memory. Chinese sensitivities to how postwar Japanese leaders memorialize their imperial veterans at the Yasukuni Shrine is well known, and has colored the relationship since the early years after the two governments concluded a peace treaty in 1978. Today, perhaps even more than those veterans, it has come to symbolize Japanese rejection of China’s right to limit Japan’s options. Yasukuni thus remains a lightning rod for those who want to challenge foreign criticism of Japan’s past. Within Japan’s conservative party, many younger politicians use their visits to Yasukuni to burnish their conservative credentials, and it remains a rallying point for those who resent Chinese and South Korean criticism of Japan and its interpretation of its twentieth century history. Indeed, in his return to power in late 2012, Abe Shinzo raised the possibility of yet another round of Yasukuni nationalism. The larger thesis of my book, however, is that nationalism is not what characterizes Japanese responses to this transforming China. True, some issues – war memory and their island dispute – offer the space for marginal voices to come to the fore, voices that have long existed yet have gained little traction in Japan’s mainstream politics. These old issues of contention, however, have at times made partners out of the two governments as they sought to limit popular sensitivities in the quest for a better overall relationship. Grounding that relationship has been the economic interdependence and the shared concern with peace and prosperity in the region. Other issues such as their shared maritime boundary in the East China Sea and their increasingly interdependent market for food have forced the Japanese and Chinese governments to come up with new solutions to new problems. All told, Japan’s citizens are demanding better solutions, and at times better protections from their own government as the impact of China’s rise challenges old patterns of negotiation. As complicated as Japanese responses are, there is no consensus within Japan on a strategy for coping with geostrategic change in Asia. Intimate Rivals demonstrates how complex a process geostrategic change can be, and the Japanese public has turned to its government to improve its ability to manage this complexity better. At the end of the day, China’s rise has reshaped not only the international relations of the Asia Pacific but also Japanese domestic politics. 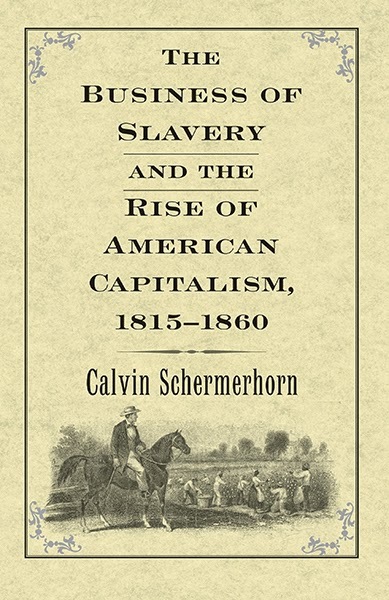 Calvin Schermerhorn's "The Business of Slavery and the Rise of American Capitalism, 1815-1860"
Calvin Schermerhorn is an associate professor in Arizona State University’s School of Historical, Philosophical, and Religious Studies, and is the author of Money over Mastery, Family over Freedom: Slavery in the Antebellum Upper South. The Business of Slavery shows how the firms that financed, traded, and transported enslaved people exemplify modern capitalism. Credit expansion was an essential building block, and in the 1830s banking expansion fueled unheard of growth. Cotton and sugar planters relied on credit. And so too did slave traders, who used it to buy captives and reallocated credit to buyers like car dealers do today. The Consolidated Association seemed to be dwindling when the twenty-eight-year-old financier [Thomas Baring] landed in New Orleans [in 1828]. Baring liked what he saw in commercial New Orleans. Cotton, sugar, and other commodities were ripe for investment, and rapid agricultural growth created great demand for credit. Besides opportunities to own or finance actual commodities shipments, American state bonds were appealing. Their interest rates compared favorably to those of British and European bonds. A quarter century after financing the Louisiana Purchase, the House of Baring was poised to fulfill the promise of the Mississippi Valley slave country. And Barings fulfilled it in spades. They marketed Louisiana’s slave-mortgage-backed bonds, reselling them on British and European markets. With foreign investment ballooning credit, Forstall helped found other property banks. Barings sold more state bonds to investors in London, Amsterdam, and New York City. Other investment bankers followed suit. Cotton and sugar markets surged on the proceeds, and the domestic slave trade mushroomed. Louisiana became a model for banking in other Deep South states, and by the mid-1830s the region was the most credit rich, most monetized region of the country. But like the home mortgage crisis of 2008, confidence crashed in 1837, leading to a financial panic and a slave mortgage crisis. Unlike real property, however, mortgaged humans were easy to hide. And slaveholders were supreme not subprime. They elected repudiationists who burned outside investors. Nevertheless, the cotton, sugar, and slave economy recovered, and by the 1850s the country was again awash in credit financing capitalist expansion on the backs of African Americans. Learn more about The Business of Slavery and the Rise of American Capitalism at the Yale University Press website. Carroll Pursell's "From Playgrounds to PlayStation"
Carroll Pursell is an adjunct professor of history at The Australian National University and professor emeritus of history at Case Western Reserve University. He is the author of The Machine in America: A Social History of Technology. From Playgrounds to PlayStation contains seven chapters covering Toys, Playgrounds, Amusement Parks, Hobbies, Games and Sports, Extreme Sports and Electronic Games. Ford Madox Ford’s suggested page 99 falls within the chapter on Hobbies, and is, as he predicted, a fair sample of the book itself. First, the narrative moves along quickly covering a number of topics, in this case the final examples of the DIY (Do-It-Yourself) craze which peaked in the years after World War II. It manages to span a 225,000 square foot Home Depot builders’ material store/warehouse and San Francisco’s boutique TechShop which opened in 2011. Mid-page the topic shifts to the DIY kitchen. Historian Rachel Maines, author of Hedonizing Technologies points out that in 2006 only 53 percent of meals eaten in American homes were actually prepared there (mostly sandwiches and bowls of cereal). Furthermore, of the remaining DIY home cooks, many were men (27 percent of men were said to be the “primary food handlers for their families”). When men got interested in cooking they also developed a desire for more upscale and specialized technologies to aid their efforts: Italian espresso machines, saute pans and very expensive handmade Japanese knives among others. It was the latest example of what historian Steven Gelber called Domestic Masculinity. The theoretical constructions of Maines and Gelber are among a number of such insights that are brought to bear on the subject “technology and play” in the book. 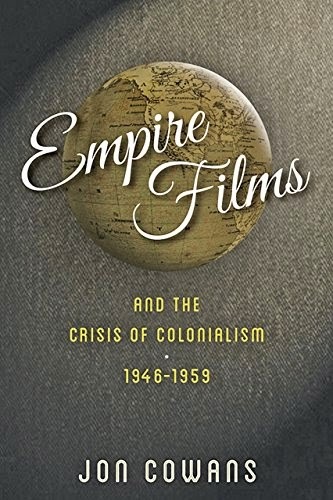 The historian Susan Douglas has alerted us to the “audio outlaws” whose pursuit of sound pioneered radio broadcasting and pushed the boundaries of high-fidelity recordings and FM radio, while historian Elaine Tyler May contributed the concept of “virtuous consumption” to explain the post-war urge to own a home, improve it, and fill it with domestic technologies. Page 99, like the rest of the book, attempts to tell many stories about the interaction of technology and play, while finding meanings through the theorizing of such underlying realities as gender and the dynamics of a developing industrial capitalism. Many have regarded the culture wars as a mere sideshow or as a simple byproduct of deindustrialization, but A War for the Soul of America argues that the culture wars were the very public face of America’s struggle over the unprecedented social changes of the late-twentieth-century United States, as the cluster of social norms that had long governed American life began to give way to a new openness to different ideas, identities, and articulations of what it meant to be an American. The hot-button issues like abortion, affirmative action, art, censorship, homosexuality, and multiculturalism that dominated politics in the period were symptoms of the larger struggle, as conservative Americans slowly began to acknowledge—if initially through rejection—some of the fundamental transformations of American life. The two paragraphs below from Page 99—which is towards the end of Chapter 3, “Taking God’s Country Back”—nicely represent the book. Ronald Reagan might not have been a member of the grassroots Christian Right but the fact that he committed to the conservative culture wars ensured that religious conservatives would vote for him. Reagan should hardly have been theologically palatable to white evangelicals: despite dabbling in premillennial dispensationalism, a distinctive Christian fundamentalist eschatology in which adherents sought to decode signs of the coming rapture, he also showed interest in Baha’i, astrology, and the Shroud of Turin. As one Carter supporter bitterly pointed out, Reagan was “a Hollywood libertine, had a child conceived out of wedlock before he and Nancy married, admitted to drug use during his Hollywood years, and according to Henry Steele Commager, was one of the least religious presidents in American history.” Yet Reagan won nearly 75 percent of white evangelical voters in 1980—and this should not have puzzled anyone. By unambiguously aligning himself with Christian Right efforts to take God’s country back, Reagan won over conservative evangelicals less interested in his theology or his personal history than in his politics. ‘Will anyone believe that he owed his career and so many great deeds to the fickleness of chance and the favours of fortune?’, asked Napoleon Bonaparte of Hannibal. It is remarkable how much page 99 of my book passes the page 99 Test. For it falls at the end of the chapter called Legend that describes Hannibal’s most famous deed: the crossing of the Alps with his army and elephants in 218BC. The final page of the chapter looks at Napoleon’s assessment of it all. If there is one modern-ish leader that I believe we can compare Hannibal to it is Napoleon and Napoleon even compared himself to Hannibal. This is history repeating itself in circles. Here we have ‘Napoleon the strategist reflecting on the Carthaginian military genius and in the same passage pondering the degree that luck or pure bloody-mindedness must have played in Hannibal’s career’. Napoleon’s insights on Hannibal are fascinating. He claims that Hannibal ‘conceived what is scarcely conceivable, and executed what must have been looked upon as impossible’. Both were men of astounding military genius and both took armies across the Alps. When Napoleon did it, two thousand years after Hannibal, his contemporaries were blown away by his success. So imagine what Hannibal’s contemporaries must have thought? Hannibal and Napoleon were men who experienced great successes but whose lives ultimately ended in failure. The thoughts recorded by Napoleon were written down at the end of his life while in exile on St. Helena. Wouldn’t it be fascinating to have Hannibal’s thoughts on the same topic? What, in his own estimation, did he do right and what did he do wrong? It is easy to imagine that Hannibal might have regretted the incredible sacrifice in sheer numbers of men that the Alps crossing cost him. If we believe our sources Hannibal had 40 – 50,000 men with him when he left Spain and it was a shadow of that army that arrived in Italy four months later, perhaps half that many. Hostile locals and the treacherous conditions of the late autumn meant that for many it must have been a death climb. Yet Hannibal’s surviving soldiers remained loyal to their commander, he must have been leader of great charisma to maintain this kind of support and trust from him men. the impact of the Alps throughout the ages has placed Hannibal’s crossing in the realm of myth …. This most heroic deed played a key role in the psychological impact Hannibal had on the Romans and the people of Italy once he arrived. By taking his army across the Alps and into Italy Hannibal reinforced his reputation for divinely inspired leadership. The Alps were high, mighty, freezing and dangerous. Crossing them was an epic feat of heroes. 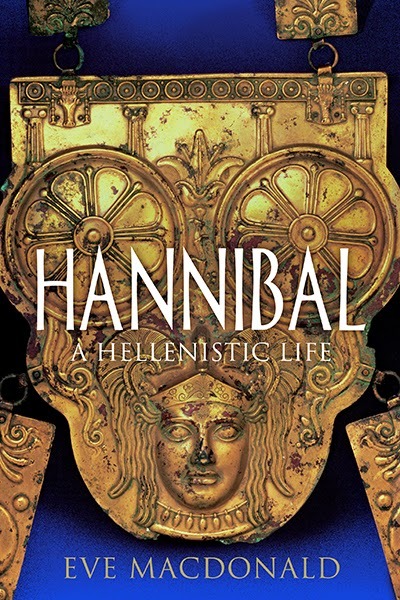 Hannibal’s arrival in Italy changed the paradigm of the war and put the Romans on the back foot. He came very close to defeating Rome and although he did not succeed, in the trying Hannibal became a legend. He would go on to be remembered as one of the greatest of all soldiers from antiquity. 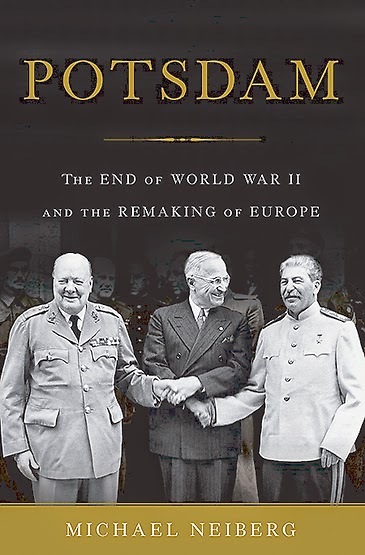 Michael Neiberg's "Potsdam: The End of World War II and the Remaking of Europe"
Michael Neiberg is a professor of history and the Stimson Chair of the Department of National Security and Strategy at the U.S. Army War College. The author of several award-winning books, Neiberg lives in Carlisle, PA. Page 99 of the book fortuitously gets to the heart of one of the key themes of Potsdam: how much do individuals really matter in the shaping of great events? Even though Potsdam prominently featured some of the giants of their age (most notably Winston Churchill, Joseph Stalin, and Harry Truman), contemporaries openly doubted that the “great men” of 1945 had much ability to shape the world as they wanted to. Larger geopolitical conditions and the realities shaped by history constrained the so-called Big Three and made some of their policy goals impossible to achieve. In other words, I was interested in seeing how much it really mattered that Churchill and Truman were at Potsdam rather than some other leaders. Potsdam gives us a fascinating glimpse into this question. Truman had just replaced Franklin Roosevelt, who had died only a few months before the conference. As vice-president, Truman had been completely in the dark about American policies. He did not know what the United States had agreed to at Yalta and could not even see secret diplomatic messages. He did not meet with Roosevelt or his advisors on any serious issues. Still, most of Roosevelt’s advisors observed at Potsdam that little changed in the American position at the conference under this new and inexperienced president. Page 99 discusses the odd British situation at Potsdam. Churchill brought with him the Labour Party leader and deputy prime minister, Clement Attlee. Britain held an election midway through the conference that shocked everyone by rejecting Churchill and placing Attlee in charge. It is hard to imagine two Englishmen less alike than Churchill and Attlee, yet the positions of the British government hardly changed. Potsdam showed that neither a surprising election nor the death of a legendary American president could change the past, the relative power of the nation-states, or the economic realities of the new global order. Learn more about Postdam at the Basic Books website. The Page 99 Test: Dance of the Furies. The Page 99 Test: The Blood of Free Men. Madison was heavily invested in the next proposal. It guaranteed the equal right of conscience, freedom of the press, and trial by jury. The rights themselves were uncontroversial, but the umbrella extended to protect them was certain to be challenged. For the proposal denied the state governments as well as the federal government any power to violate these rights. Antifederalist members of the House recognized this for what it was: a challenge to the sovereign authority of the states. South Carolina’s Thomas Tudor Tucker spoke for them when he declared it best “to leave the state governments to themselves, and not to interfere with them more than they already do.” Many of us, he added, thought federal interference “rather too much” as it was. He demanded that this infraction of state sovereignty be deleted…. While most Americans may assume that Congress welcomed the chance to vote for a bill of rights, they would be wrong. Madison’s own party at the time, the Federalists, dominated the House and they thought discussing a set of amendments was a terrible waste of time. The federal government had no power to infringe on these rights, they said, and besides, the first Congress had far more important things to do than create a ‘parchment barrier” to oppression. Madison however believed it was good politics to pass a bill of rights. Many voters were still wary of the new government exactly because it did not seen fit to make a ringing defense of their rights and many anti-administration Representatives who wanted to preserve the supremacy of the states were eager to harness that wariness. Madison thought a bill of rights would, in modern terms, separate the anti-administration leadership from the base. He persisted— and the House finally began to debate his proposals. The debates revealed a divide that, on other issues, persists even in our own day: where, in a federal system, does ultimate sovereignty lie? Is it with the central government or with the states? 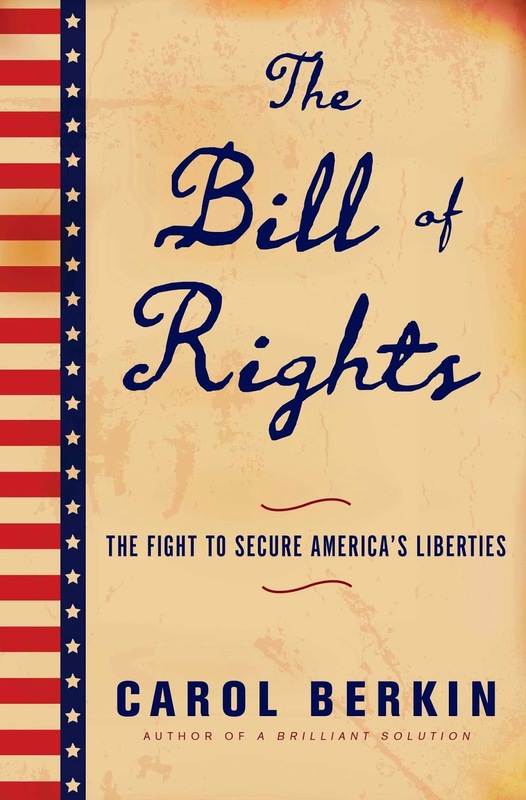 My Book, The Movie: The Bill of Rights. Ralph Young's "Dissent: The History of an American Idea"
Ralph Young is a professor in the Department of History at Temple University. Dissent: The History of an American Idea, is a narrative history of the United States from the standpoint of dissenters—from the perspective of those who did not see eye to eye with the powers that be; who pushed the United States to live up to the lofty ideals and constitutionally guaranteed rights so eloquently expressed in our founding documents. My thesis is that dissent is central to American history. Dissent gave birth to the United States and it has played a significant and influential role in our development ever since. Sometimes dissenters have won important victories, sometimes not, but always they influenced the debate. Dissent, in fact, is one of this nation’s defining characteristics. Page 99 of Dissent is a transitional page that is representative of the book’s overarching theme. It concludes a section detailing the plight of workers who ultimately discovered that despite their protests and all their efforts to organize unions “the age of the common man did not provide quite as much opportunity for them to advance as it did for bankers, industrialists, and planters.” And then I begin a section on the tragedy that befell the Indians who protested against the Indian Removal Bill. Although they fought courageously against being expelled from their ancestral lands, and although Quakers and other Americans, even politicians such as Senator Theodore Frelinghuysen, ardently supported their cause, they too, like the workers, met with defeat. The Cherokee, Creek, Seminole, Chickasaw, and Choctaw were, in Jackson’s eyes, a barrier to progress. Even though the Cherokee had assimilated to a large degree into white society ... they were still regarded by Jackson and whites living in the southeastern states as uncivilized savages. Naturally, underlying this racist attitude was the basic economic issue of white lust for Indian land. If whites could convince themselves that Indians were inferior and uncivilized, it would ease whatever pangs of conscience that might otherwise have reminded them that the insatiable desire for Indian land in and of itself was dishonorable. Of course the Cherokee were expelled from their lands, forced to endure the infamous “Trail of Tears,” and found that their protests against their treatment were futile. Still, there are many examples in US history when dissent did achieve remarkable success. 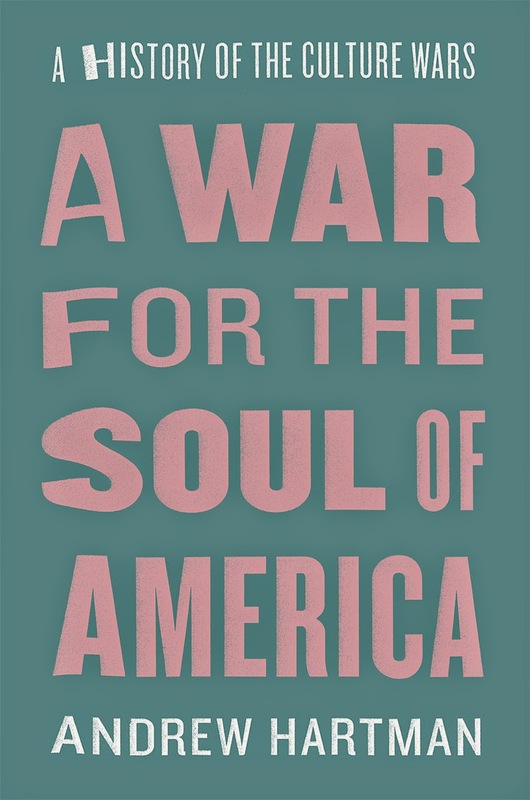 The American Revolution, abolitionism, women’s suffrage, the civil rights struggle against Jim Crow, LGBT rights and marriage equality, the antiwar movement during the Vietnam war—although for most of these movements, especially the antiwar movement, eventual success came at an agonizingly slow pace. Still dissenters pushed against the establishment and even when success was elusive they raised questions that forced Americans to rethink the issues and pushed them to make up their minds where they stood. Learn more about Dissent: The History of an American Idea at the New York University Press website.